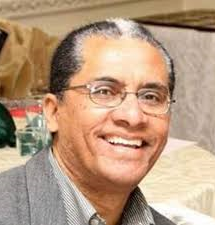 Amanuel Melles (Aman) is the Director of the Network for Advancement of Black Communities (NABC) at York University and Principal of Aman Consulting. He brings more than 24 years of management and senior management experience in various sub-sectors of the non-profit sector: settlement and immigration, community health, social services and community development, and funding and sector capacity. Aman was on the Senior Management Team at United Way Toronto and the Director of Programs and Capacity Building where he led the development of the Organizational Capacity Building Unit and was responsible for leading the introduction of several innovative and creative capacity building and granting programs aimed at building various capacities of non-profit agencies in Toronto. Prior to his role at United Way Toronto, Aman held various roles at OCASI, Lawrence Heights Community Health Centre and Family Service Toronto. As a former marine ecologist, Aman often brings ecosystem thinking to his work with organizations and communities. Since my arrival in Canada in 1995, I have been working with immigrants and refugees. I am currently the Executive Director of Labour Community Service, a project of Toronto and York Region Labour council in partnership with the United Way of Greater Toronto. I also gained excellent experience volunteering with the DiverseCity steering committee, the Youth Challenge Fund board, the Family Service Toronto board, the Strong Neighbourhood Task Force of the United Way Toronto and the City Summit Alliance and the Mayor’s Roundtable for Children, Youth and Education. 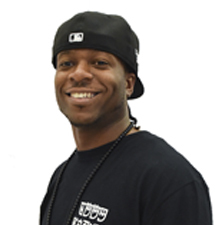 I am a co-founder of Positive Change Toronto Initiatives to address the root causes of youth violence. I hold a Master’s of Science Degree in Agriculture from the Justus Liepig University in Germany, a Management Certificate from the Schulich School of Business. I am also a graduate of the Leaders for Change program from the Maytree Foundation, and have received Political Leadership training from the Canadian Centre for Political Leadership. I was born in Toronto, and I am excited to be doing this work! I have been an activist for several and have first-hand knowledge of the challenges we face. I look forward to contributing to the PAC’s efforts to support the implementation of the Action Plan to Confront Anti-Black Racism. Dr. Wesley Crichlow (Ph.D., University of Toronto, 1998) is Professor | Associate Dean of Equity | Chair President’s Equity Taskforce | Director for Engagement and Recruitment for Youth in Care, in the Faculty of Social Science and Humanities, in the youth and criminology specialization, at the University Of Ontario Institute Of Technology (2003-Present). Recently served on the Community Selection Committee: Black Youth Leadership Project Grant to Confront Anti-Black Racism, led by City staff in the Community Funding Unit and a project consultant on anti-Black racism work. Wesley is Black, gay professor and community scholar activist with more than 27 years of experience engaging in Black community mobilization and development. King is a Toronto based spoken word/rap artist who knows no bounds when it comes to conquering the hardships life has to offer. These hardships have led him to his enormous ambition to be the best that he can be. King’s motivation comes from an endless variety of outlets but one of his strongest motivators to succeed is for the loved ones he has lost. He has faced unimaginable circumstances, one of the most impactful being losing family and great friends through terrible illnesses and horrific acts of violence. Though this grief would cripple any individual it empowers King to work that much harder to create something that will help motivate and inspire rather than succumb to pain and hatred. His main purpose has always been to achieve greatness not only for himself but for those who no longer have the opportunity. Chantal Phillips is a medical student at the University of Toronto. While attaining her Bachelor of Science at Western University, she identified the disparity of Black students within STEM undergraduate and professional programs. Accordingly, she initiated Western Future Black Physicians, a chapter associated with the Community of Support at the University of Toronto. This program aimed to provide Black students pursuing medicine with imperative academic and social resources. In conjunction with this project, Chantal is an organizer for the annual IGNITE conference, which provides attendees with exposure to admissions information, medical school application strategies, and networking opportunities with physicians in Toronto. 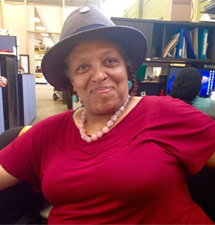 Chantal is also passionate about public health and health outcomes within the Black community. She is currently volunteering with TAIBU Community Health Centre to conduct research on the effectiveness of the Diabetes Education Program for Black patients and qualitative assessments of the Black patient experience. Chelsi J. Bonair is a bilingual lawyer, and graduate of the French Common Law program at the University of Ottawa where she focused her studies in Technology Law. She holds an Honors B.A. in Communication and Philosophy. Chelsi worked as a research assistant for the Canada Research Chair in Information Law, interned with Canadian Internet Policy and Public Interest Clinic, and worked for a national firm. Chelsi continued her legal career at Ontario’s official provincial French media broadcasting company. Chelsi is dedicated to the economic, professional and personal growth of the Black community. 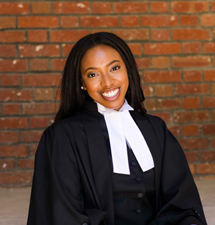 As part of Chelsi’s commitment, she co-presided the Ottawa chapter of the Black Law Students Association, and worked actively as a member of the National Board. Currently, she is on the Executive Board of the Black Professionals in Technology Network. Chelsi is passionate and innovative in all interests, which has naturally contributed to her commitment to the constant progression of the Black community. 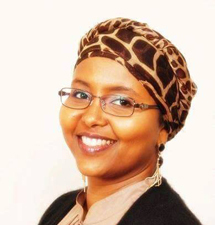 Fatima Hirsi has more than five years of experience of supporting individuals and communities in various organizations. Her focus has been serving children and youth from marginalized and under-served communities, working with them to bolster their educational, social, health, and employment outcomes. Fatima aspires to learn more about driving systemic changes to better serve people and communities. Fatima Hirsi is currently a Youth Development Worker for Pathways to Education, a Youth Advisory Committee member for the netWORKING mentorship program with Women’s Health in Women’s Hands, and was formerly a youth cohort member for 6 Degrees at Institute of Canadian Citizenship. Fatima believes in the importance of creating prosperous and healthier individuals and communities. Fatima hopes to find ways to better provide Black Torontonians the tools and resources to build our various capacities and uplift one another. 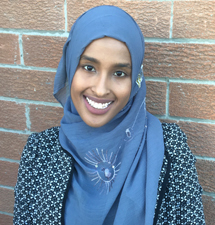 Hodan A. Mohamed is a diaspora Somali Canadian educator with a focus on community action research, employment, public policy, criminal justice system, Black youth mentorship, diversity and inclusion. She is a co-founder of the Canadian Association of Muslim Women in Law (CAMWL). Her research on the intersection of anti-Black racism and Islamophobia has been published by the Ontario Human Rights Commission and Somali Studies Journal. 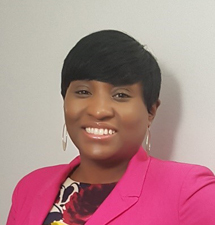 She has a Master’s degree in Leadership, Higher Learning and Community Development from the University of Toronto, and will be embarking on her PhD in 2019. 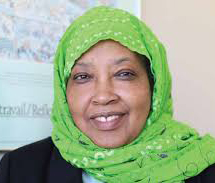 To this advisory role, Hodan brings 10 years of professional experience theorizing, developing, discussing and implementing diversity and inclusion. This encompasses providing strategic advice to government and non-profit on both unconscious and explicit biases and the impact of systematic barriers, while sharing practical and actionable initiatives towards institutional change. Surranna Sandy is the Chief Executive Officer of Skills for Change (SfC), a registered charity and non-profit multi-service agency in Toronto, Ontario serving 14,000 Immigrants and Refugees annually. 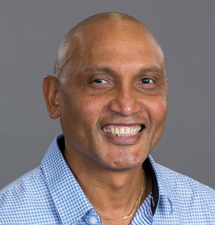 Prior to becoming the CEO of SfC, Surranna enjoyed a successful career as President and Founder of Surcorp Group, a Career Management firm with offices in Toronto and Ottawa. Having the first-hand perspective of an Immigrant in a new country, Surranna found her calling in advocating for and advancing the needs of immigrants and refugees as a volunteer and board member in the settlement sector. In 2012, Surranna elected to resign from her firm and accept the invitation to serve as Skills for Change’s CEO, turning her advocacy of ensuring that Immigrant and Refugee has a fair chance to realize and fulfill their potential into her life’s vocation. Surranna has a Master of Arts in Leadership and Management from Anglia Ruskin University, an MBA in Human Resources Management from the University of Wales, an Hons Bachelor of Arts in Leadership and Management from Northumbria University, a Diploma in Human Resources Management, and a Certificate in HR Management. Symone Walters identifies first as a mother and then as a community activist and social entrepreneur. Tragically, in the summer of 2013 Symone lost her youngest son, Tahj Loor-Walters, to gun violence. He was 15 years old. Symone has vowed to turn tragedy into inspiration. 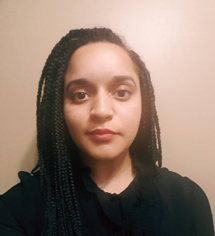 Symone completed her diploma at George Brown College in Child and Youth Services and reoriented her career to one that is entirely dedicated to serving Black youth. 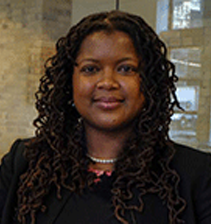 In her recent role with the Toronto Community Benefits Network and previous role with the Duke Heights BIA and Osgood Hall Law School, Symone has had the opportunity to support Black youth and the local community through initiatives that focus on economic sustainability and capacity building of minority owned businesses. Currently, Symone is collaborating to build on the legacy of her son by creating a hub geared towards youth that embody a safe, holistic approach that would take them “Towards a Higher Journey” – TAHJ.